Windows Phone Thoughts: Do Apps Look Better On iOS or Windows Phone? Do Apps Look Better On iOS or Windows Phone? "A while back, Apple Co-founder Steve Wozniak said about Windows Phone that "I'm kinda shocked how every screen is much more beautiful." So we thought it would be fun to look at a few popular iOS apps and how their Windows Phone counterparts compare in the looks department." Here is a delightfully fun little exercise. Hit the Read link and test whether you like the look of a selection of popular apps on an iOS device or Windows Phone better? This is an unscientific test, but as you look at each image ask yourself to consider things like typography, clarity, ease of use, and overall appeal. Do you suspect people tend to like the look of apps on their own device platform simply because they are more familiar with their style, or do you think they actually do think they look a bit better? 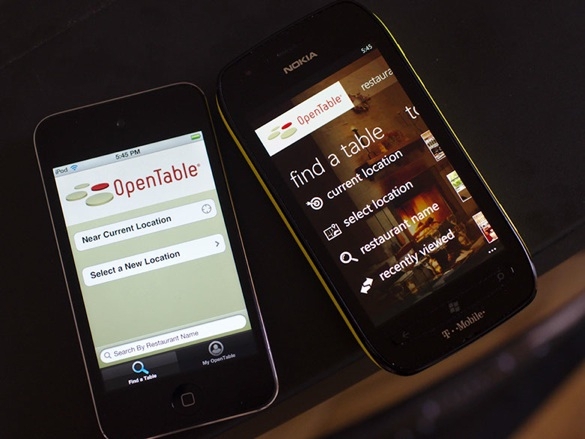 It's subjective, but I do like to the look of this OpenTable app on Windows Phone.